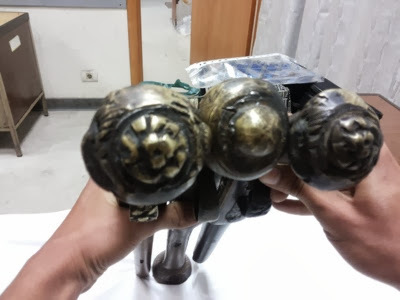 The antiquities unit at Cairo international Airport has captured 3 antique pistols dated back to the Ottoman era. 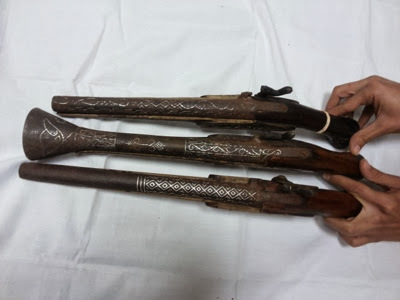 The pistols were in possession of a Russian traveller who wanted to bring them into the country. 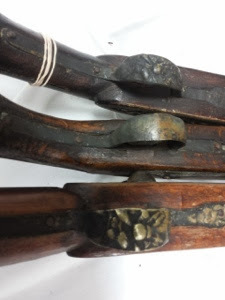 The pistols have copper handles and iron pipes. 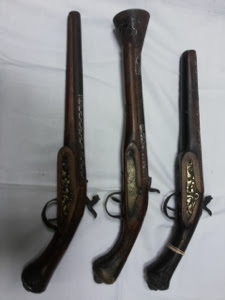 The pistols measure between 47-50 cm.